I love it when I find a fun themed meal for the different holidays. 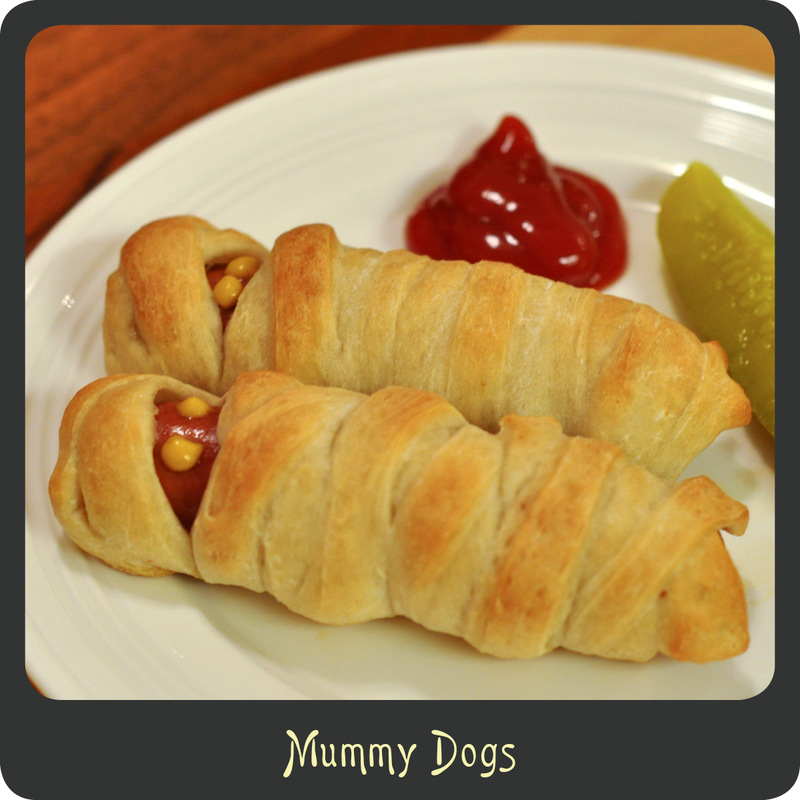 I got the recipe for these mummy dogs from my friend Christa’s blog, which you should totally check out! (www.creativelychrista.wordpress.com) Christa always has lots of great kid friendly recipes as well as awesome craft projects and more. 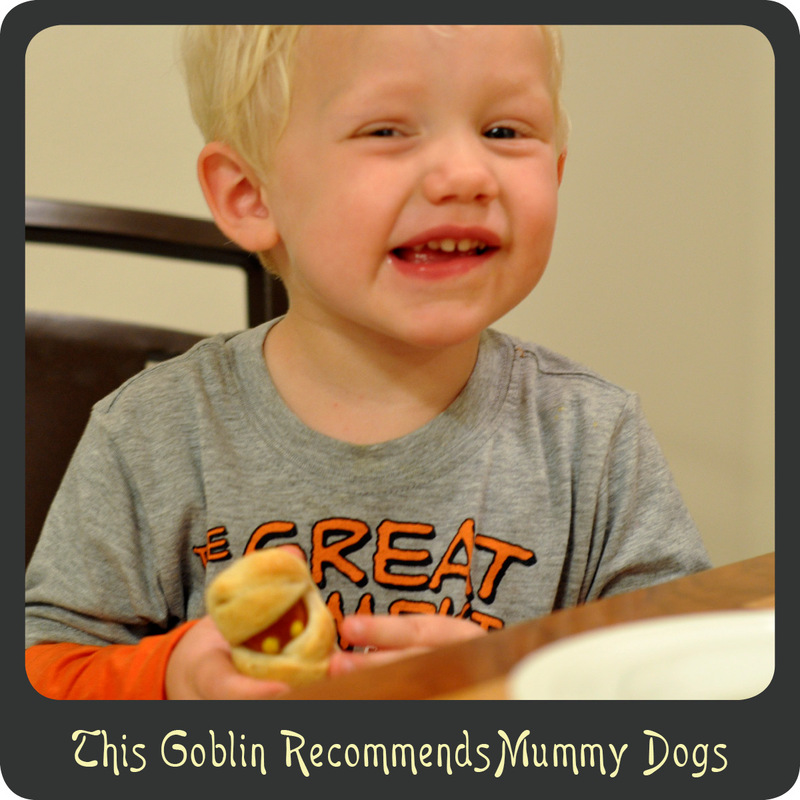 I thought these were perfect for my little goblin this Halloween not only because they are festive but also because they are incredibly quick and easy to make! Christa’s version is much healthier than mine since she used turkey dogs and whole-wheat pizza dough. On days I work our evenings are already chaotic but when you add in getting dressed up in costumes, setting up the spooky décor, and trick or treating to the mix and it’s just a mad house! What’s not to love about a $5 dinner you can get done in less than 20 minutes and that the kids will love! I have a feeling we will be making this ghoulish recipe every Halloween. Thanks for the recipe Christa! On a large cutting board lay out your pizza dough and cut into 1/2” strips. Cut those strips in half. Use the strips to wrap the hotdogs up like mummies making sure to leave an exposed area at one end for the face. Place the wrapped hot dogs on a greased cookie sheet as you finish them. Bake for 12–15 minutes or until the crust is a nice golden brown. Once removed from the oven, allow to cool for a couple of minutes. Have a happy Halloweenie everyone!